The Axis Buoy can be used as a traditional buoy, which isolates the legs and utilizes the core and upper body muscles, but it also can be used as an ankle float. With Roy Burch suffering a season-ending injury, Bermuda will have just two swimmers competing in Kazan, Russia. Bermudian sprinter star, Roy Burch, suffered a big-time leg injury, rendering him in a temporary wheel chair for his immediate future. 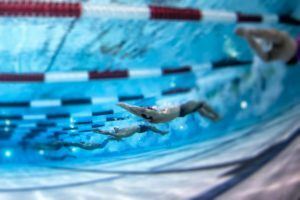 Ryan Lochte, Cullen Jones, Arianna Vanderpool-Wallace and others from SwimMAC Elite wowed the crowd in the Bahamas this past weekend. Madison Kennedy ruled the pool in West Virginia as she took home the sprint crown at the first ever “Harry Green WV50”. George Bovell earned this year’s Swammy for Male Central American & Caribbean Swimmer of the Year.